Welcome to All Saints C.E. (A) Primary School. We are very proud of our happy and successful school, made possible with the support of our dedicated team of hardworking staff, Governing Body and ASSA (All Saints School Association). Our Website includes a wealth of useful information about our school, we hope you will take time to have a look. If Parents would like hard copies of any of the information on the website, please contact a member of the school office team. We celebrated World Book Day with lots of activities including dressing up as book characters. The day was spent celebrating reading and books - some of the children were finding 'extreme' places to read. These photographs give you an idea of the day. If you are visiting our website to check out the latest Garrick League news - click here. 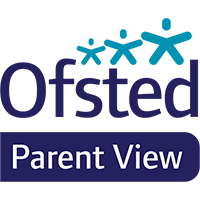 As Parent Teacher Interviews are due to take place shortly a guidance sheet has been put together to provide you with some of the information that teachers will be discussing with you.